Steve Austin was a lucky man. And not because those military doctors saved his life when his experimental aircraft tumbled into a fiery ball of grainy stock footage. No, he was fortunate enough to have his accident back in the 1970s: Had he been injured today, his six-million-dollar repair budget would have gotten him a Band-Aid for his torn-off arm and a get-well card. Yes, Colonel Austin fared pretty well, what with all the bionic whatnots and whoozits six million Carter-era bucks bought. His action figure was even cooler, with a huge eye for kids to look through, a button on the back that ratcheted up his arm, and his best feature: the peel-back rubber skin on his forearm that revealed removable circuits beneath. Were you among the countless kids spending hours making the doot-doot-doot bionic sound effect and forcing the Austin doll to put his sporty red jumpsuit and tennis shoes to good use and jog in slow motion around the ottoman? (I was!) And how about his bionic entourage? There was nothing better than the Bionic Bigfoot and Maskatron figures. Even bureaucrat Oscar Goldman, with his exploding briefcase, puts Barbie's Ken to shame. If you're looking to relive those bionic days of yesteryear, don't forget to enter our contest by Nov. 22. You could win the entire 40-DVD set of "Six Million Dollar Man" episodes! He was also freakin' huge! Bigger than all of our classic '70s G.I. Joes by half, and like Andre The Giant next to our Mego superhero figures. In the end, the fact that he didn't fit into the universe of either of those sets of toys made him an outcast and relegated him to the bottom of the toybox. The Six Million Dollar Man was my favorite show as a kid. 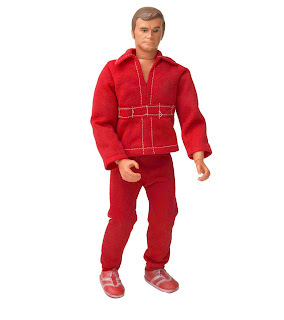 I had this doll (although I prefer to call it action figure). And I remember looking through the back of his head to see out his eye, and I remember peeling the skin back on his arm, and see the bionics. 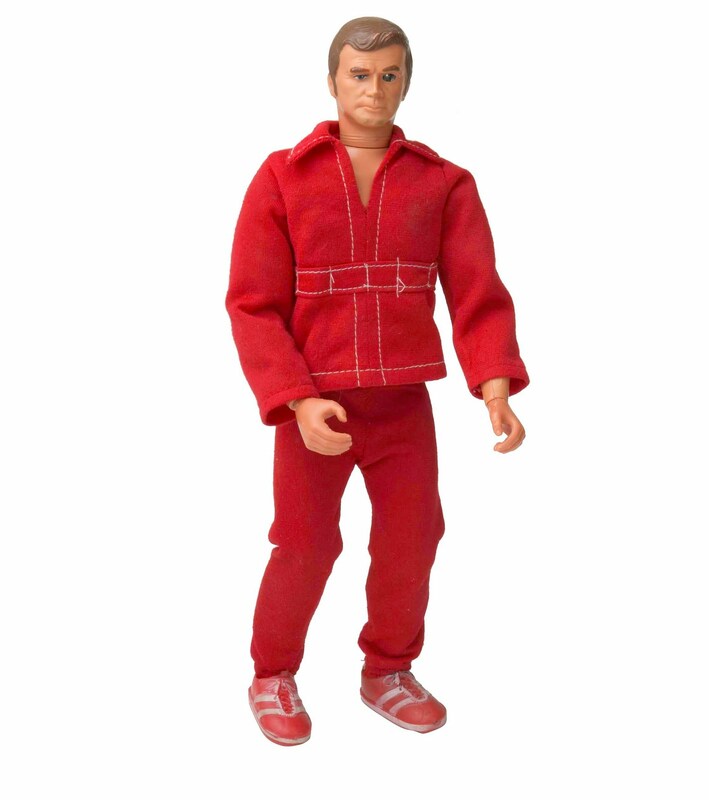 I also had the Oscar Goldman doll. And I also I believe my first lunchbox for school was The Six Million Dollar man. I had this and the space capsule. You always hear how cramped the Apollo capsules were, but this one was so small only one man could fit inside, must have been due to budget cuts. I had a lot of fun with Steve Austin and his noisy arm.